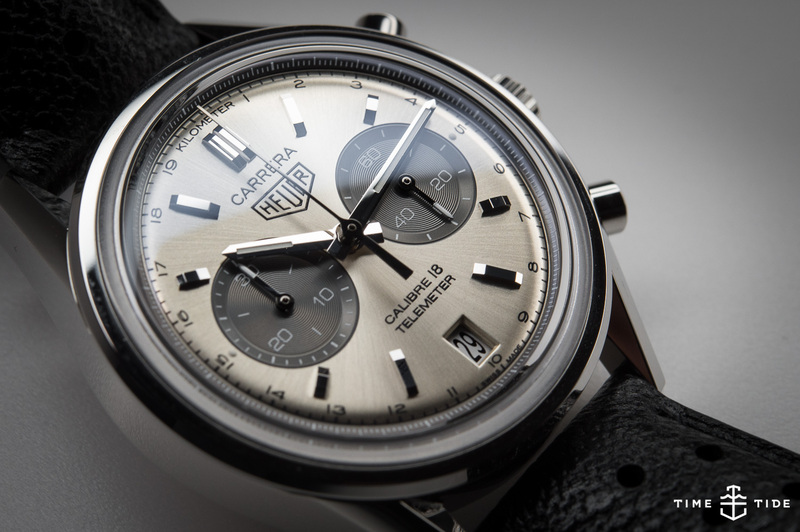 Not so long ago, the TAG Heuer Carrera was one of the watch world’s most easily recognised chronographs. Now, it’s every kind of watch imaginable. It’s time-only, it’s a Connected watch, it’s a tourbillon; you name it, there’s a Carrera variant. Hell, I’m wearing a Carrera today and it’s a removable time-only module that I’ve fitted onto a pair of – themselves interchangeable – titanium lugs and a leather bracelet that more often carries the Connected Modular 45 around. No matter where you stand on the rapid recent evolution, the name does not mean what it used to. And the modern Carrera vehicle, if you will, is one made for thoroughly modern times. But is there a risk in overloading the name and making it less special? Just over a year ago David Chalmers asked TAG Heuer CEO, Jean-Claude Biver, just that. For more of Jean-Claude Biver in action, watch this and this.